This one has been a bit of an emotional rollercoaster, let me tell you. 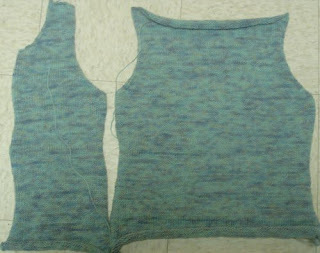 Between heavy altering, realizing my row gauge was way off, and some sloppy seaming that led me to think the sleeves were sizes too small, I’ve been through just about every kind of knitter’s angst this week. As can be seen in the photos, I have ultimately prevailed and with limited problems and trouble to myself… so yay? As can be seen in this photo, sometime between my first front piece and my second, my row gauge went off into a world all its own, causing me to wonder if I was going to have to frog the whole thing and restart. 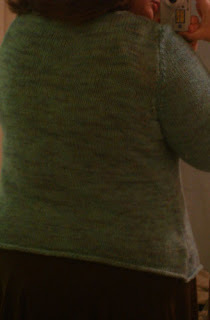 I had hoped that if I decided to finish off the cardigan with some garter stitch along the bottom to stabilize it instead of the recommended way in the pattern, it might fix the whole thing and make it as if it never happened. I put the garter rows on this morning and my thoughts were correct: one would never know that one side was so much longer then the other. (No pictures of the latest details, going to wait until I finish before posting more up.) Everything else has fit together very nicely and I’ve been many kinds of pleased. 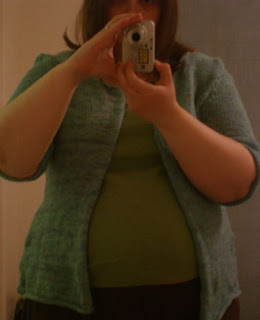 True, the cardigan is still a bit on the long side for me despite taking 4″ out of the torso, but it’s not so long that I look like a child playing dress up in my mother’s clothes. 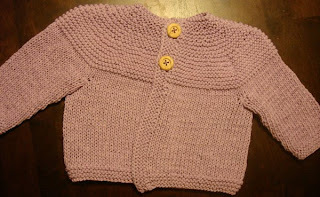 I can’t wait to get the button band on and the buttons and see what it looks like completely finished. I also heavily altered the sleeves and took almost half the sleeve length out. As written, and with my row tension, I would have ended up with sleeves inches past my hands. All in all, a good knit, I’d like to do another with the stripes I do believe, and I’ll post up more on this when it’s finished. Much more quickly then I would have imagined, honestly. In less then two weeks, I’ve finished the back and the first front piece with very little time put into it. 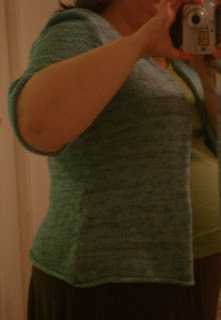 It’s been an interesting knit to say the least, I had to pull about 4″ out of the torso and probably could have done with pulling out a bit more. I’m not sure who the pattern was modeled after, but she apparently has lots of torso. It’s supposed to be blocked wider and taller–and I *am* knitting smaller so it could be blocked as it should–but it’s looking like it honestly doesn’t need it. Especially in the vertical. I’m very much relieved that I didn’t do it with stripes the first go round; I’m going to have to rewrite the entire striping portion of the pattern when I make another. And if this fits well, there will be another. 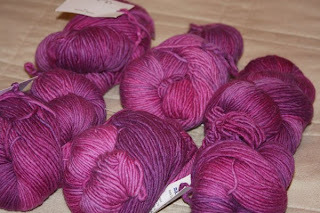 I’m already imagining what colors to do it in as I should have quite a bit of Smooshy to destash and therefore, give me yarn money and room in my tote! 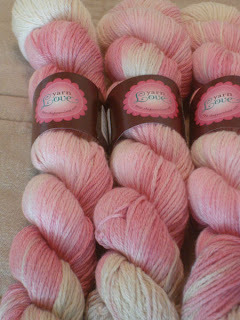 I don’t believe it will take anywhere near the amount of yarn I originally imagined, either. It should have taken between 1100-1200 yds, I’m thinking I can do it all in 2 skeins of Smooshy which would put it in the 900 yd range. 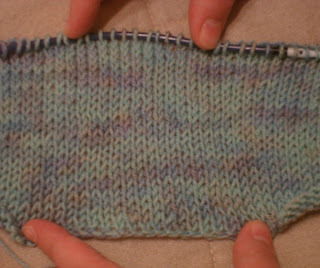 The first picture is more color accurate, but this gives a better idea of the pretty varigations in the yarn. It reminds me very much of sea glass and it’s quite lovely to look at.